Are you looking for a hot air balloon coloring picture? Find the best ones with our kids coloring pages reviews. 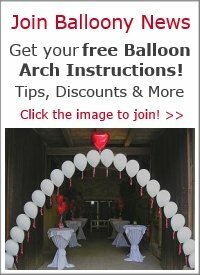 Clicking on the links or images will take you directly to the relevant page with hot air balloon designs within each featured site, not to their homepage. 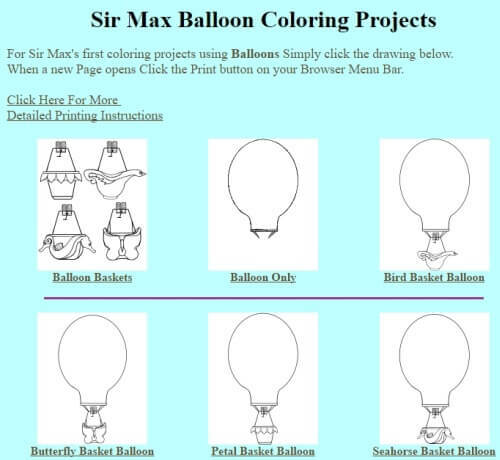 A search on Google returns lots of sites, but many of them have just a single hot air balloon picture to color. On Kids-n-fun.com however you'll find 11 different designs. Altogether they offer a whopping selection of 16,500 kids coloring pages. Crayola are best known for their high quality crayons. They also offer lots of ideas for crafts and games with kids, both for parents and teachers. 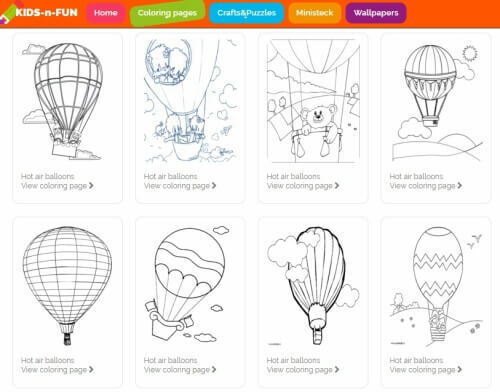 Within their range of coloring pages, they have 3 designs around the topic of hot air balloons. The selection is small, but they have some nice little extras: on the coloring sheet you get some interesting facts related to the topic (for example about the first balloon flight in the States and the first flight across the English Channel), you can print the pages or color them online, you can cut out the forms and create a mobile. The hot air balloon coloring pictures are integrated into the exciting story of "The Secret Aquarium of Sir Max Goodwyl." Before the kids go on their trip they have to make plans, find out what they need to take, then gather clothes and equipment, pack up and arrange for transportation. One part of the activity is to color hot air balloons. I like the print templates, they leave a lot of room for the kid's fantasy. 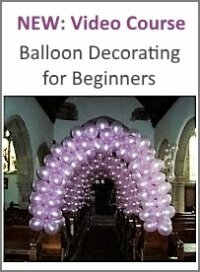 Another decent resource with an extra category for hot air balloons. 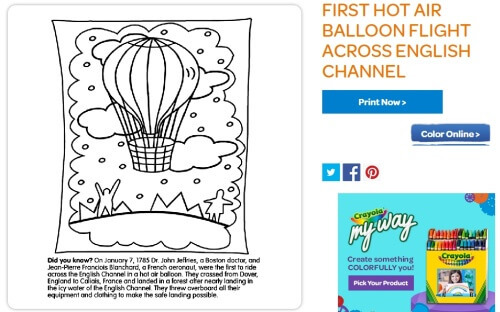 They have 7 coloring pages in this category, including one coloring picture of a zeppelin. 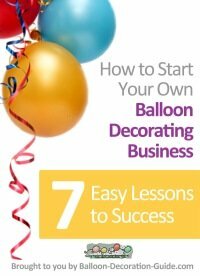 Although there's only one example of hot air balloons on this page, I wanted to include first-school.ws here, for all our readers who have children between ages 2 and 6. The site features arts and activities for toddlers, preschoolers and kindergarten level. The coloring pages are designed to foster pre-writing skills, color and shape recognition. 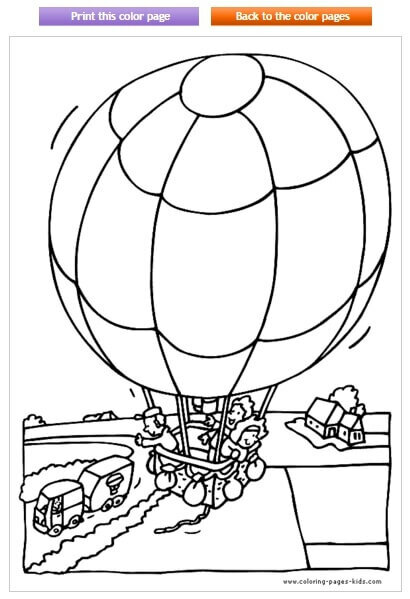 Here's the link to their hot air balloon lesson plan printable activities. Interested in other Hits for Kids? 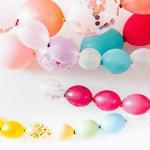 Looking for the best Balloon Clipart Resources?